What Is Wrong With The Tamil Leadership In Sri Lanka ? Present political climate in Sri Lanka, especially the Tamil politics, reminds me an ancient Greek mythology. King Sisyphus was condemned by the Olympian God Zeus to spend all the eternity in fruitless labour, rolling a rock up a mountain until it rolled back down of its own weight, again and again. Nothing could be more absurd than a life of such futility. King Sisyphus was punished for his trickery and killing. The Myth of Sisyphus was used by Albert Camus to explain the absurdity and thereafter Danish Philosopher Søren Kierkegaard used this to compare man’s greed to earn money. Franz Kafka compared it to man seeking political power and aspiration. It was a philosophical metaphor that a person seeking power and money could not achieve them. Likewise, the Tamil politicians are asking power from the Colombo government but the ordinary Tamil citizens are not going to enjoy the fruits. During the two weeks I spent in Sri Lanka including in the North, I heard many Tamils praising Douglas Devanantha MP and Chandrakumar EX-MP. The main reason for this is that they have been a bridge between the ordinary people and the government and people found it easier to handle their issues. This is what we call representative democracy. The Provincial government was elected to look after regional development in the North but they are also screaming for Tamils rights. They are not fulfilling people’s aspirations. Irregularities seem to be abundant in some of the more important sectors of the provincial government such as health and education. The most essential elements lacking in the North are moral, social and political leadership. 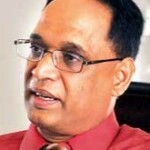 The Jaffna university incident has been the clearest example of failed leadership. I am not blaming the politicians alone for everything and even other sections of the society are not providing any guidance to the ordinary people. Temples are renovated from overseas money like whitewashing the tombstones. They do not provide any spiritual guidance to anyone. And the nature of Hindu religious establishment is that it lacked any authority. Everyone knows that Jaffna is a leading district in consumption of liquor while wall posters are seen in every nook and corner warning about narcotics. Tamil politicians are only available through their media statements in daily newspapers and their rhetoric is very old and rusty. They are so used to life in the opposition like a wallowing buffalo in muddy lake. I could not see anyone speaking with vision about the future or providing leadership. They only ensure keeping their seats warm so that they can occupy it until their demise. This has been our history. Crematoriums and cemeteries have seen numerous politicians with empty rhetoric. Futile and absurd politicking by Tamils started in 1927 with the arrival of the Donoughmore Commission in Sri Lanka. Eminent Leader Ponnampalam Ramanathan argued against the universal franchise because he did not approve voting rights for members of the Tamil non Vellala lower caste and the women. He further argued that giving voting rights to these groups would be a grave mistake and suggested that it would be anathema to the Hindu way of life. Just before independence, another Tamil leader G.G. Ponnambalam demanded from Soulbury Commission ‘50:50’ representation (50% for the Sinhalese, and 50% for other minorities) when Sinhalese were more than 65 % of the population at the time. His racist rhetoric in Nawalapitiya attacking Sinhala Buddhists and Mahawamsa provoked the first racial riots in Sri Lanka . His speech was a pretext for S. W. R. D. Bandaranaike to establish branches of the Sinhala Maha Sabha in every part of the south of Sri Lanka. As a politician I will not blame S. W. R. D Bandaranaike to have made political capital out of G.G. Ponnambalam’s rhetoric. It was a sad state of affair that S. W. R. D. Bandaranaike brought the Sinhala only act after the 1956 general election, but later he attempted to correct it through the Banda –Chelva pact. This was the time when everyone worked overtime to destabilize the government led by SWRD Bandaranaike. GG Ponnampalam too opposed it, adding to the opposition from the United National Party and Buddhist monks. A trivial issue cropped up in the Sri Lankan political scene in 1958 when buses were sent to the North with registration plates carrying the Sinhala ‘Sri’ letter along with numbers. The Federal Party organized a country wide protest resulting in the 1958 race riot. I am not condoning or appeasing Sinhala politicians, but want to point out that we Tamils have many skeletons too. Our blunders resulted in turmoil and destruction. Majority racial attitudes were not countered cleverly but instead we hoisted the Tamil racist flag high. It was the Federal Party that was most insincere by pushing a federal solution while calling themselves Tamil Arasu Kadsi (Tamil Kingdom Party) at a time S. W. R. D. Bandaranaike proposed regional councils. In the same way the Tamil United Liberation Front was formed which passed a resolution for an independent Tamil nation. If I were a Sinhala leader or Sinhala citizen these concepts and titles would have created in my mind doubts and bitter feelings. Tamil politicians declared separation, but without any preparation for the consequence. I heard from a prominent politician that Mr Amirthalingam was told off by Indian Prime Minister Indira Gandhi for his Eelam demand. It is true that President JR Jeyewardene’s misadventure briefly made India to support the militants but very soon India realized their folly and tried to reverse the situation. But the rhetoric of the Tamil leadership was so poisonous and powerful that many young people swallowed it including Velupillai Prabaharan. Words can be arsenic and kill us, but slowly. Velupillai Prabharan and the LTTE struggle for the last thirty years had cost a large number of lives and I do not want to go into this more as enough has been written already. Mao Zedong firmly believed in communism to help the billions of Chinese, but Deng Xiaoping said a cat can be skinned in many ways and opened the economy resulting in the Chinese economy almost overtaking American economy. Why are we still insisting on confrontation, complaints and sulking, like children. In this day and age abstract notion of political right is very low down in the priority when considering the economic empowerment of the people. In Sri Lanka the other two minority communities have already set an example and shown the way forward. I cannot understand the Tamil leadership. What do they have in their minds? Are they thinking outside the orbit? What is happening? I just cannot find any common thread running through all the Tamil leadership except for the fact that most of them are trained lawyers who thrive on the deeds and misdeeds of people.